Visit the collection of one of the best conserved houses in Europe on this 1 hour 30 minutes guided tour. Get to know the workshop and last home to the painter Joaquín Sorolla, along with its temporary exhibits. Meet at Paseo del General Martínez Campos in early afternoon to explore the Museum Sorolla, which features work by the artist. It used to be his home and, besides being a charming palace architecturally speaking, it houses masterpieces of this grand artist of Levante. The building was converted into a museum after the death of his widow. Designed by Enrique María Repullés, it was declared an asset of cultural interest in 1962. Within the collection you can find several works, to be classified in different categories. 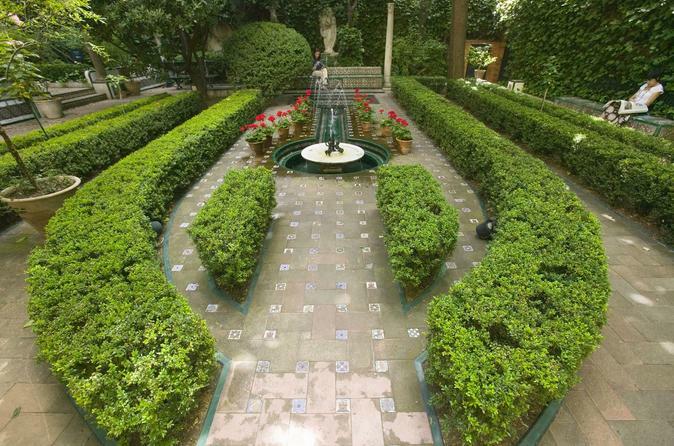 It’s one of the most beautiful and homely museums in Madrid, as well as one of the best preserved houses in Europe. The principal rooms continue to be furnished as they were during the artist’s life, including Sorolla’s large, well-lit studio,where the walls are filled with his canvasses. Other rooms are used as galleries to display Sorolla’s paintings, while the upstairs rooms are a gallery for special exhibitions. In 2014 these rooms held an exhibition of David Palacin photographs of the ballet Sorolla produced by the Spanish National Dance Company.